The PULMIC line of application at Low and Ultra-Low Volume receives the name of FENIX. The Fénix (Spanish for Pheonix), a mythological bird which was recreated from its ashes, also had great physical resilience, and had the power to cure with its tears. At PULMIC FENIX, you will find machines for the application of pure or dilute herbicide which are characterised by their lightness, ergonomics, precision and efficiency. These have led to PULMIC FENIX becoming a world leader in sales and quality. 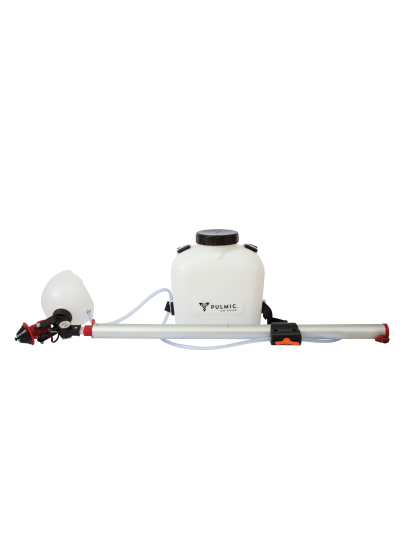 Centrifugal hydraulic sprayer for application of systemic herbicides.